Hunt, David E., 1925-, ““Drying” Diapers,” Inuvialuit Cultural Centre Digital Library, accessed April 25, 2019, https://inuvialuitdigitallibrary.ca/items/show/2282. 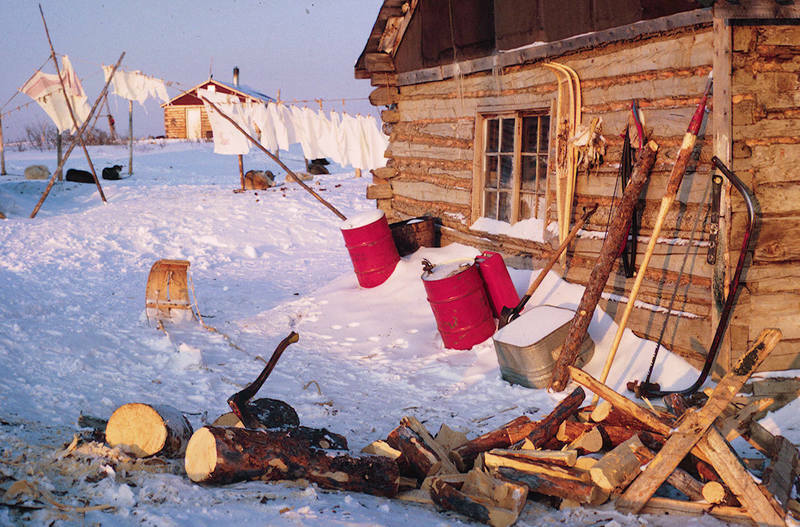 The image depicts the process of “Drying” diapers in the winter. As well with a house and some wood being cut.